I love living near D.C. I’ve lived in the area since I was six and I still have yet to explore so many significant landmarks. 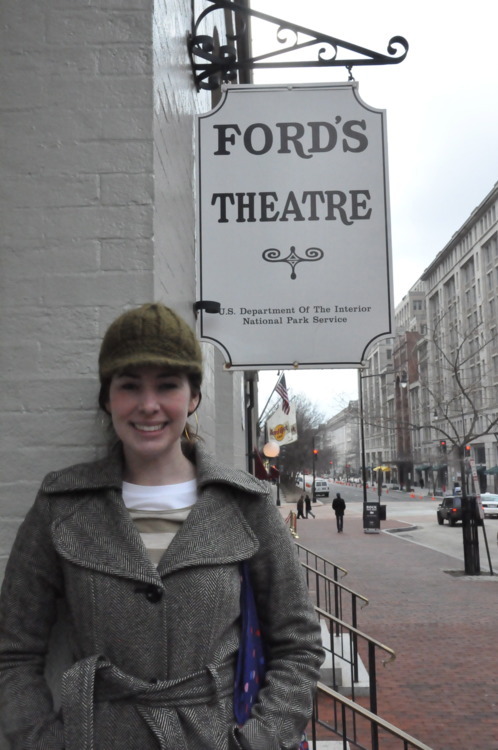 For example, neither Kris nor I have ever been to Ford’s Theatre — the location President Lincoln was shot. And not for a lack of trying. The last time we attempted to go, it was under renovation. 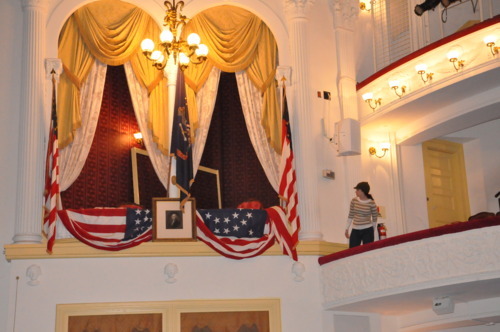 That day, we ended up going to the Petersen House across the street (where Lincoln actually died) instead. We agreed we’d have to go back. We waited around for about 30 minutes in the museum before we were allowed to enter the theater (Is it theater or theatre? I’m going with theater. 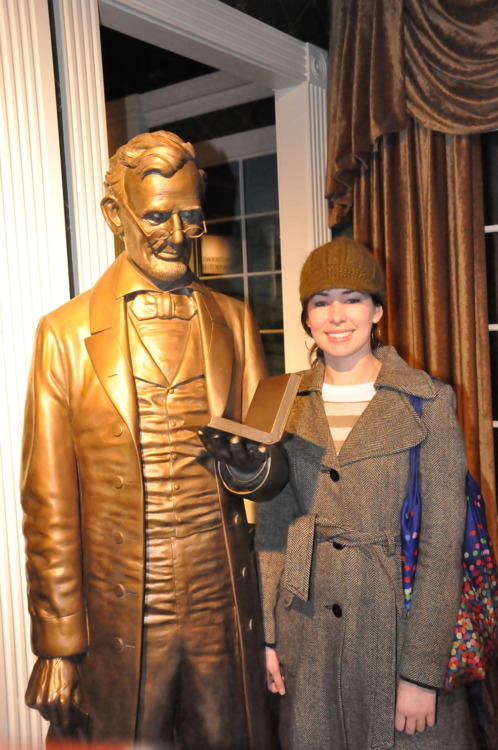 ), which means I had plenty of time to take awkward pictures with bronzed Lincoln. Thank goodness. P.S. he’s reading The Hunger Games. It was a quaint theater. Very beautiful. The best part — aside from seeing the actual spot where Lincoln was shot — was the National Park Service guide. He was very entertaining. His passion for the subject was so apparent. 1. The George Washington photo (seen in the above picture) is original and that’s about it, as far as the theater decoration goes. 2. I knew John Wilkes Booth was an actor, but I didn’t know he was the best-known actor of the time. Making it even more scandalous. 3. 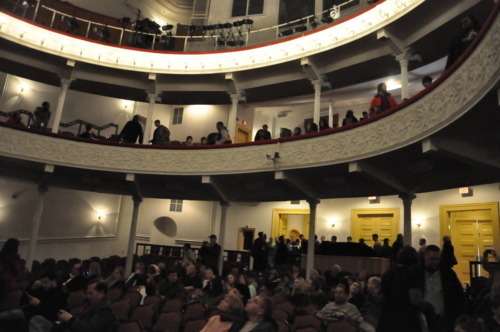 Speaking of fire hazard, it used to hold 2,400 people. Now it holds 661. Now we have to go back for an actual play.